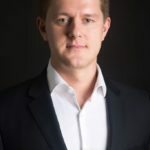 As Managing Director of Verzasca Group, Tim Lobanov is responsible for leading the firm’s day-to-day business operations and developing the marketing strategies for the firm and its projects aligning them with the group’s overarching development plans. Prior to joining the Verzasca Group, Tim worked for various prominent real estate companies. As an international real estate expert, Tim has a proven ability to identify emerging market trends across the commercial and residential real estate spaces and specializes in the development and acquisition of properties that appeal to high net-worth investors. Downsizing is becoming increasingly common in today’s real estate industry. New residences are being built in major markets throughout the U.S. every day, which means finding homes that fit your clients’ desires to downsize should be no problem. If you want to hit the nail on the head early on, you should consider a few things before touring homes with prospective buyers. Hidden among well-known neighborhoods in South Florida, including Bal Harbour and Surfside to the East and North Miami on the West, there is a lesser-known and highly underrated neighborhood — Bay Harbor Islands. In my last piece, I wrote about Bay Harbor Islands’ history and how it got to be where and what it is today. Now, I want to take the time to dive into specifics about the islands, calling attention to the best features that the islands have to offer. Though often overlooked and overshadowed by its pricier neighbors, Indian Creek Island, Bal Harbour and Surfside, Bay Harbor Islands has become increasingly more popular among South Florida buyers. And, with Bay Harbor Islands approaching its 70th anniversary next year, I wanted to share a brief overview of one of Miami’s best-kept secrets and explore Bay Harbor Islands to discover what makes it such a great place to live in South Florida. People today are looking for convenience–whether that’s across town or across the world. The Metrorail and Metromover aren’t the only forms of transportation making waves in Miami. All signs point to the rental market in Miami right now. With business booming downtown, rentals are beginning to become the main priority for developers waiting for buildings to break ground, most of which have sold out their units. As most real estate professionals know, the market is cyclical. There will always be ups and downs, but inevitably the real estate market recovers and shines a new light on an area or submarket that developers had never even considered before. While everyone is busy trying to forecast Miami’s real estate market for 2016, it seems more important to take a look back to see how Miami got to where it is today, before projecting where it will be tomorrow. 2015 was the year Miami garnered coverage on being a “global model for real estate”— a pretty large feat for Miami’s real estate books.